I mentioned in one of my posts that we had a number of young Robins late in the year. I had forgotten to include these photos. 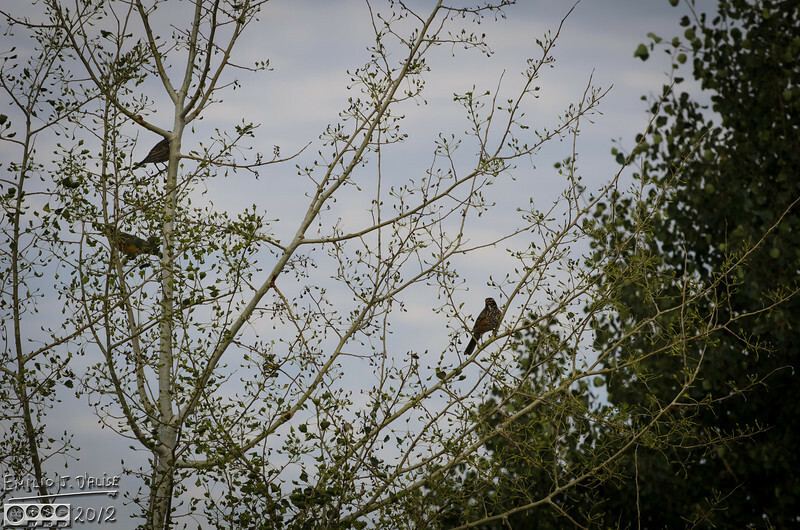 Here are three on my neighbor's tree.